“Once a reader is hooked by a story, research shows that their reading ability actually improves. Barrington Stoke books are edited and designed to minimise some of the obstacles that can stop struggling, reluctant or dyslexic readers really getting hooked by a book. Our books don’t patronise and since they’re by the best authors in the business there’s no stigma attached to being seen reading them. 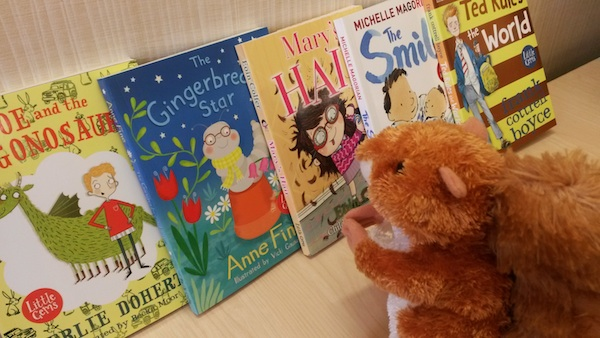 You can read all about them at their website and blog – just click on the squirrel! Michelle is also delighted that the Illustrator’s names are published with the authors on the front jacket cover. 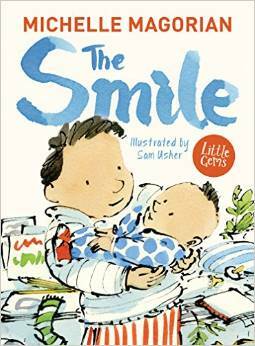 The illustrator for The Smile is Sam Usher. As you can see from the picture at the top, there are five new books being released in the Little Gems series this July. We are proud to be included in the prestigious line up of authors. We’ll remind you when you can buy all of these new releases for the Little Gem series !